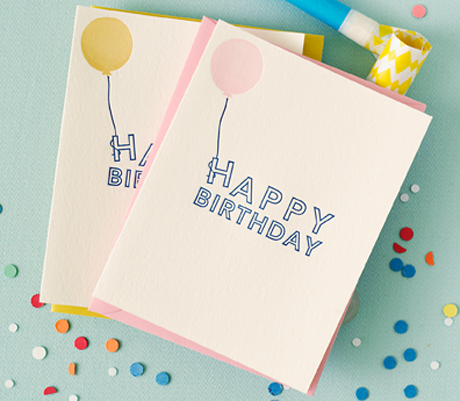 I LOVE Suann’s new line of balloon themed cards. I want some! Her new Simplesong site launched last week and it is really really great. Lovely. Such a simple design but so perfect. I have some really cute Japanese fabric with a print of little kids holding balloons if you're interested in buying it off me. I got all excited when I saw it and bought it…but it turns out I don't sew. I am in love. Thanks for sharing. Very very sweet! I love your blog! And I just have to say i'm pretty sure we are related somehow. I am a Ferney and I KNOW there are not a lot of us around! Where are you originally from? 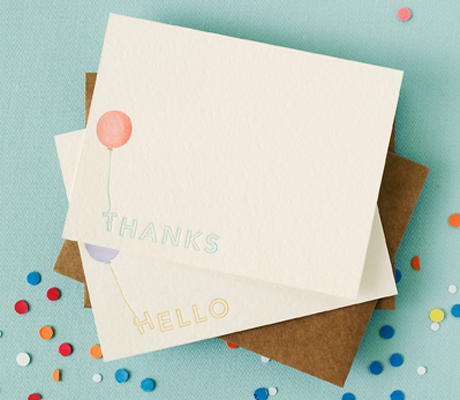 Ooo, SO wish I had some of these last fall after my daughter's balloon birthday party to write thank you notes with! Darling!